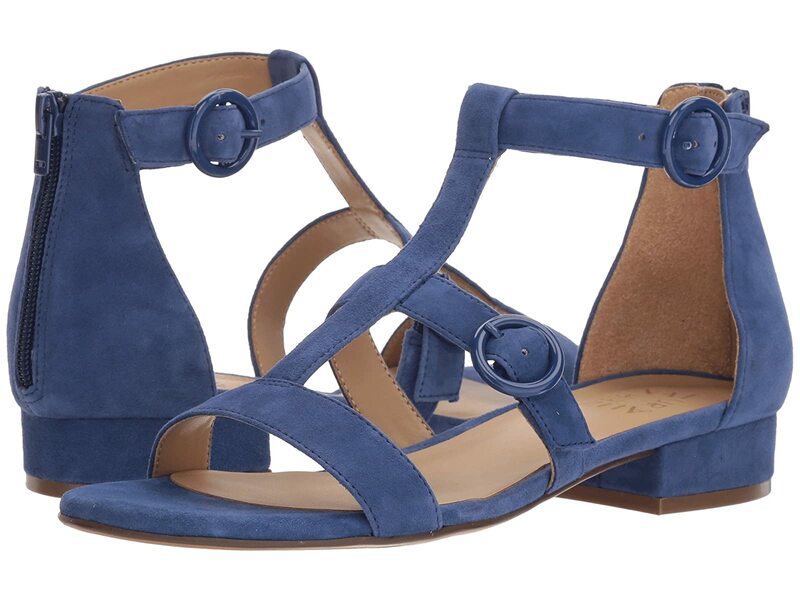 Feel adventurous and free this season with the Mabel sandal by Naturalizer®! Adjustable buckle closure at forefoot and ankle lock foot in place. Zipper closure at heel hugs ankle for a secure fit. Straps are fashioned in a T-strap style. N5 Contour® technology ensures insole conforms to your foot for a personalized fit.